Summer means that the kids will love to play outdoors and therefore it is very important to have a safety checklist for keeping the kids safe while they have summer fun. Having fun out in the sun can result in serious health problems for children especially if the necessary precautions are not taken. 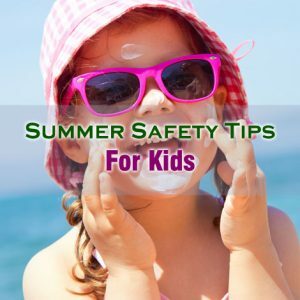 Only with little knowledge about the summer safety tips for kids parents can keep their kids safe throughout the summer season. There are a number of things that you need to do as a parent in trying to be prepared to handle the common health hazards that your kids face during summer. Make sure to dress the kids in tightly-woven cotton clothes and hats featuring wide brims. Also make sure that the kids stay out of sun exposure between 10 am and 4 pm because this is the time when the sun is at its intense peak. Applying sunscreen lotion or cream to your child is one of the important summer safety tips for kids that you should keep in mind. While playing outside, it is best to apply sunscreen lotion to the exposed body parts beforehand. 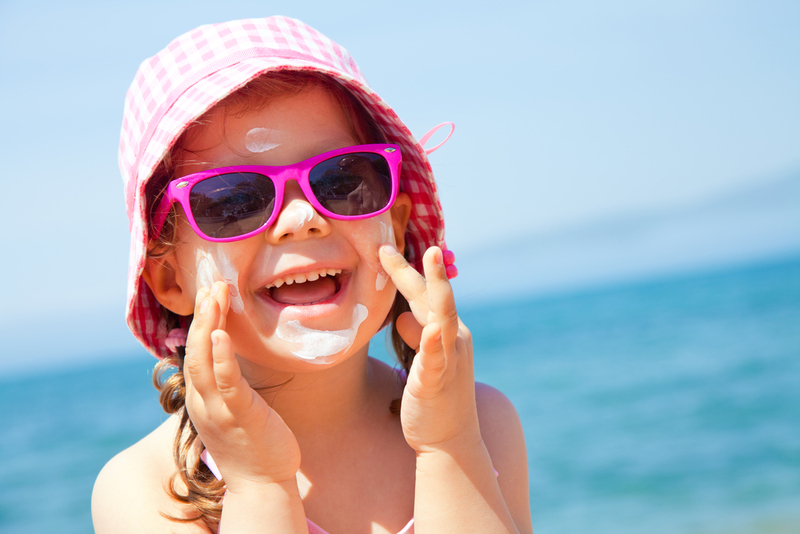 Make sure to purchase proper sunscreen lotion with high SPF and suitable for kids. Insect repellants need to be used for guarding against the ticks which are likely to carry the Lyme disease. Insect repellants also keep the mosquitoes at bay and thus helps the kids in staying away from different diseases. Preventing dehydration is one of the important summer safety tips for kids that you should not forget. Dehydration should be prevented in the kids during the summer season as this can be very dangerous. Always keep in mind that your child require frequent water breaks so that the body can be kept full with water which helps in taking the summer heat aback. Swimming is one of the favorite activities, which children love to do in summer. Make sure to stay within your child’s arm’s reach, when your child in enjoying in the swimming pool. At the same time, it is also important for you to choose the right swimwear for your child in order to ensure that he or she does not get sun burnt. In case your child suffers from serious allergies during the summer season, watch for the dangerous conditions that can involve life-threatening allergens such as peanuts and bee stings. Keep the allergy medicines updated for helping your child as per the situation. Your summer safety tips for kids should also include the necessary precautions against fire hazards.